Given the complexities of today’s real estate assets, meeting current property requirements while anticipating future or unexpected needs can be challenging. How can you avoid the risk of having too much space, or not enough? Will today’s locations work for tomorrow’s requirements? Is the current workspace design right for tomorrow? We have been helping our commercial, industrial and retail clients address challenges just like these for more than three decades. Working together with our clients we review the workplace strategy for alignment with business objectives. Our aim is to ensure workplace strategy facilitates your business plans for the future. 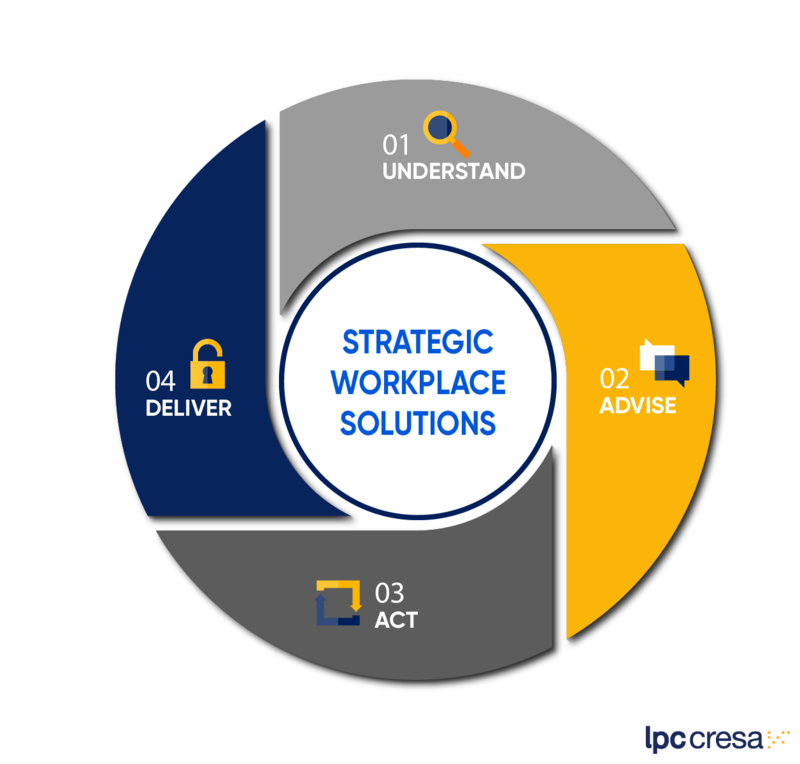 Our advisors provide evidence-based recommendations relating to workplace strategy, portfolio optimisation and new ways of working in support of our client business objectives. We work with our clients to implement approved recommendations within defined budgets and timeframes. We have helped our clients set up for a sustainable reduction in occupancy costs per user, while attracting and retaining talent and improving productivity.